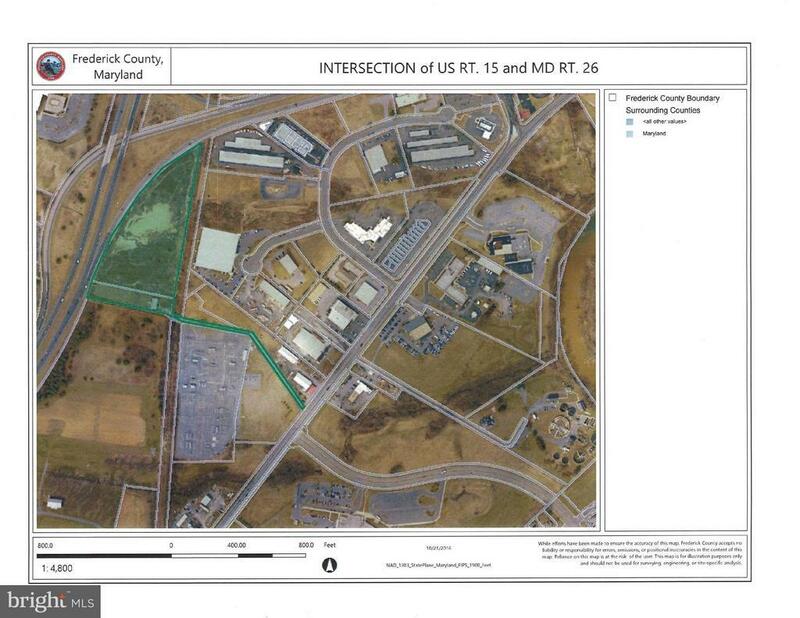 Nearly 7.5 acres of General Commercial (GC) zoned property in the City of Frederick. Situated with loads of visibility along US Route 15 near MD Route 26. Average Daily Traffic is 88, 802. Accessis from North Market Street extended. This listing consists of two tax account numbers; 02-140101 and 02-140098.Value is in the land, site includes an all brick ranch style home.